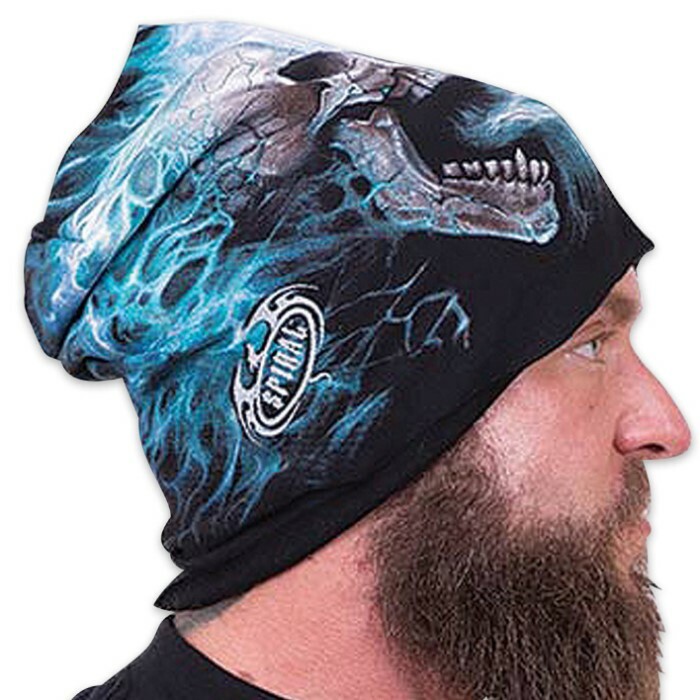 Flaming Spine Cotton Beanie - Hat | BUDK.com - Knives & Swords At The Lowest Prices! 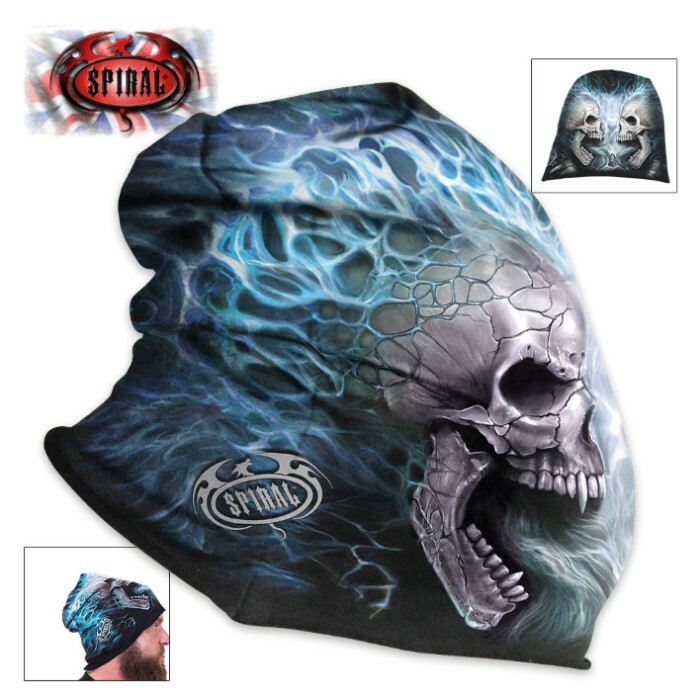 Skulls, spines and bone, dripping in melting lava and blue flames give this black beanie an all-over fierce and fiery feel. 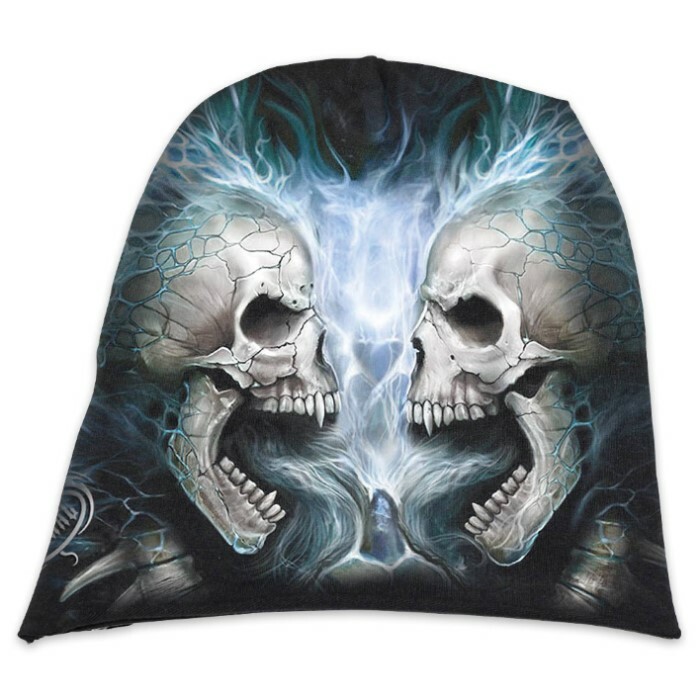 Add this awesome depiction of two blue blazing skeletons to your wardrobe with this incredibly artistic hat. It features vivid original artwork and is made of high quality cotton jersey.